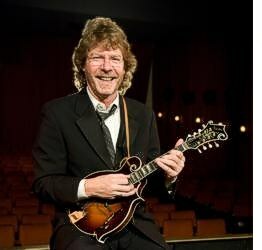 Nashville, TN -- Legendary bluegrass/newgrass artist Sam Bush has new episodes of Sam’s weekly Ask Sam series. The new video articles are now playing on SBTV (Sam Bush Television) and Sam is answering your questions about Hoss, the St. Louis Cardinals and his ideal band! Nashville, TN -- Legendary musician Sam Bush discusses his superpowers and picks for the MLB playoffs, amongst other topics, in his new Ask Sam video series now playing at www.SamBush.com. Sam, the 2012 International Bluegrass Music Association (IBMA) Mandolin Performer of the Year, hosts the Ask Sam series of videos in which Sam answers fan-submitted quetions, with subjects ranging from his choice of instrument when making a guest appearance and what he has planned for the upcoming years to where he gets his “superpowers” and where fans can get his shoes! Webisodes will be automatically added to the SBTV player each week for viewers to enjoy. Bristol, TN/VA -- Closing out the record-breaking event on Sunday from the Alpha Natural Resources State Street Stage, Sam Bush proclaimed, "It is wonderful to be here in this historic place and I wish everyone in America could come and see it." That, in itself, is among the highest of compliments received over the course of the three-day Reunion. August 7, 2012, Nashville, TN -- The list of showcase performers is growing for the 13thannual Americana Music Festival & Conference, presented by Nissan, September 12 through September 15. In addition to previously announced participating artists Richard Thompson, Billy Joe Shaver, The Wallflowers and Delta Spirit, additional showcases are confirmed for what could be the most exciting Americana Music Festival yet. To see the current lineup click here. 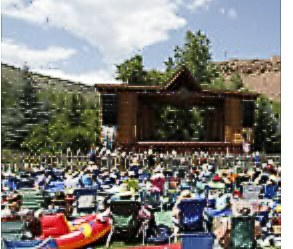 Telluride.com to sponsor "mini Telluride Bluegrass Festival" in Western North Carolina. Railroad Earth’s Music On the Mountaintop has confirmed the final artists slated for the fifth annual three-day music festival outside of Boone, North Carolina this August 24-26, 2012. 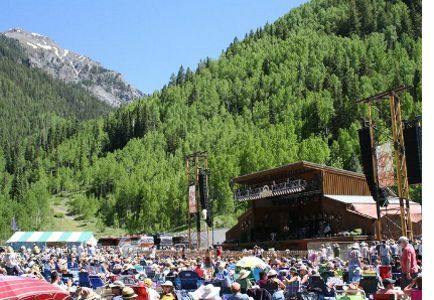 Music on the Mountaintop Festival includes Railroad Earth, Dr. Dog, Sam Bush, JJ Grey and Mofro, Greensky Bluegrass and many more. The 5th year anniversary music festival will be held in the High Country of North Carolina. The legendary Sam Bush recently celebrated his 60th birthday. With his innovative, virtuosic style and youthful energy, it's hard to believe he is 60 years old! 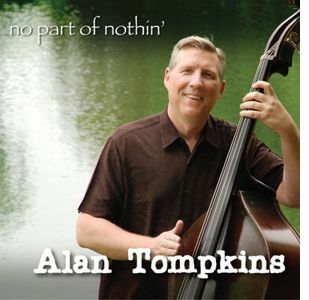 Bluegrass multi-instrumentalist and vocalist, Alan Tompkins is proud to announce the June 5, 2012 album release, No Part of Nothin'. The album features a lineup of incredibly talented musicians and singers, many of whom are Grammy® or IBMA award winners or nominees. The list includes Sam Bush, Deryl Dodd, Kenny & Amanda Smith, Ron Stewart, Stephen Mougin, Gerald Jones, Greg Cahill, Ned Luberecki, Mike Bub, Randy Kohrs, Brad Davis, Nate Lee, Bobby Davis, and Steve Rhian. Nashville, TN -- Putumayo announces the May 22nd release of Bluegrass, an engaging collection featuring many of the genre's most renowned artists along with exciting new discoveries. 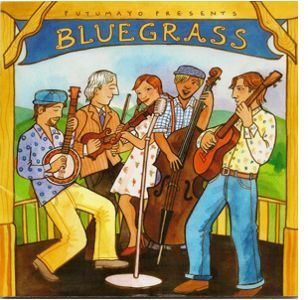 The album is Putumayo's first venture into the world of bluegrass music and includes Alison Krauss & Union Station, Sam Bush, Railroad Earth, David Grisman and Jerry Garcia, Andrea Zonn with Alison Brown, Frank Solivan, Peter Rowan, James Alan Shelton, Crooked Still, The Seldom Scene, Uncle Earl, and Town Mountain. Bristol Rhythm & Roots Reuion's annual poster art unveiling has become a tradition during the festival's line-up announcement. 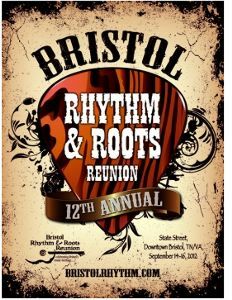 Over the years, Bristol Rhythm's festival posters have become collectors items, and artists like Charles Vess, P. Buckley Moss, and April Street have all contributed their talent for the annual poster. The latest winning poster and an equally winning artist lineup have been announced. Big Sky, MT -- From the mountains to the sky, everything in Big Sky, MT is Big. Big Sky Resort's 6th annual Big Sky Big Grass bluegrass music festival is no exception. The three-day music extravaganza will run February 17th- 19th and feature artists and bands from all over the country including bluegrass music Grammy-winner Sam Bush.